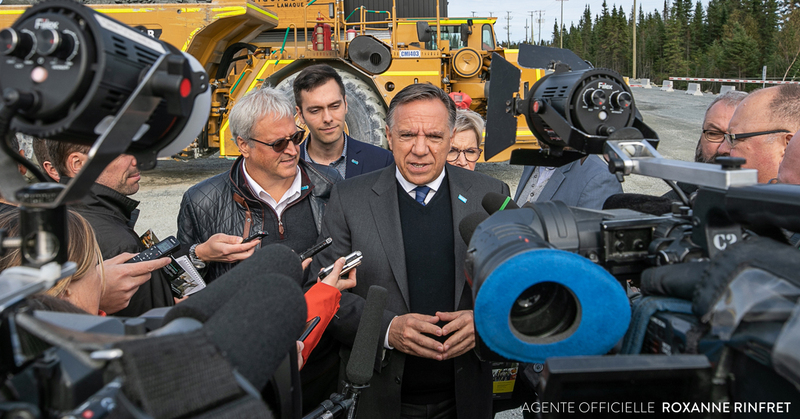 Accompanied by CAQ candidate for Abitibi-Est, Pierre Dufour, François Legault stated that a CAQ government would make highway 117 safe at last. “More than half of traffic fatalities in the region happen on a single road, and that is highway 117. Abitibi’s road safety record is seriously affected by these numerous accidents. 2018 is not over yet and it’s the deadliest year since 2012. We have to act, and we have to act right away!”, the CAQ leader declared. François Legault vowed to upgrade highway 117 between Labelle and Rivière-Rouge. He will also ask the MTQ to make the road more secure between Rivière-Rouge and Mont-Laurier by correcting curves and adding auxiliary lanes for instance. The MTQ will also be mandated to make highway 117 safer between Val-d’Or and Rouyn-Noranda, notably by adding passing lanes. “The Liberals have been in power fifteen years and if we want things to change in Québec, if we want to do more and to do better for people using highway 117, we have to start by replacing this government. The only party that has the team to defeat the Liberals and form our next government, is the CAQ”, François Legault said.